Ricon lifts are built for personal and commercial use. and comply to "DOT PUBLIC USE" specifications. 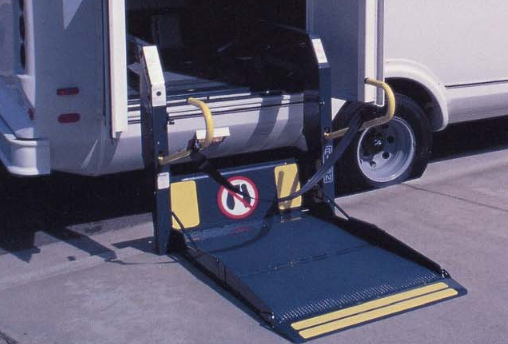 The exclusive split-platform folds and/or slides vertically, allowing unobstructed access upon exit and entry whether or not the lift is deployed. Rated Load Capacity: 600 lbs.